Cinco de Mayo Party TONIGHT! 2-Hour Margaritas & Corona Open Bar + BULLS game! Plenty of TVs will be on to catch all of the BUlls game action! Online registration has closed. Tickets may be purchased at the door. 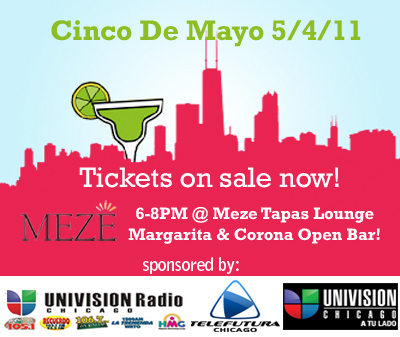 « MAC Cinco De Mayo Party 5/4/11 – Tickets on sale now!